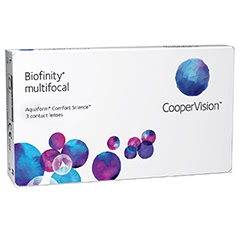 Biofinity contact lenses provide an excellent standard of comfort because they are made with Comfilcon A, a highly breathable silicone hydrogel material. 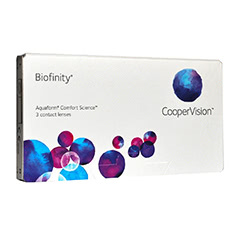 This material ensures your eyes stay moist and hydrated for longer. CooperVisiob's Biofinity range is designed to cater to a variety of lifestyles and prescriptions, including toric and astigmatism. They provide high levels of oxygen to your eyes, which keeps them looking brighter and healthier. Buy your Biofinity lenses from Lenstore.co.uk to receive quality products with fast delivery and great prices. We care about our customers' eye health and provide you with a range of exclusive offers such as free eye tests at your local Vision Express.